Crafters of all skill levels will use these designs to create beautiful, fanciful flowers to wear and use to embellish their handicrafts. A collection of innovative projects—including lanterns, a necklace, a bag, gloves, and a fabulous wedding dress—rounds out this beautiful book. 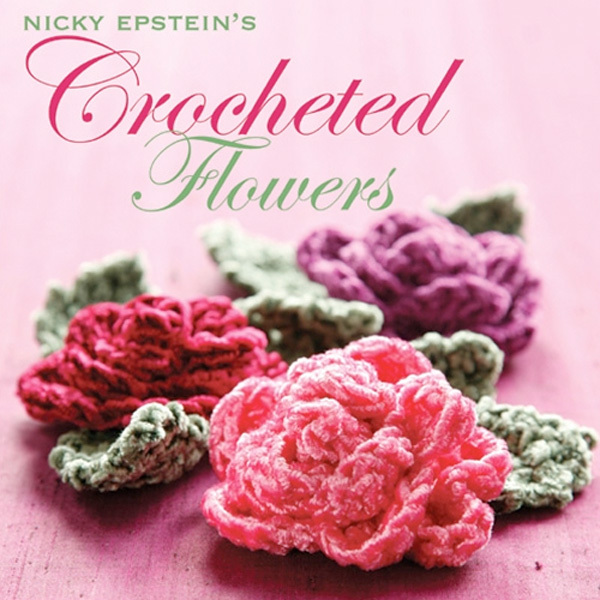 This eagerly awaited follow-up to the best-selling Nicky Epstein's Knitted Flowers will inspire crafters everywhere. The indomitable Nicky Epstein does for crocheters what she did for knitters: provide a collection of exquisite flowers to craft. Small, simple and time-efficient, flowers are the perfect project for crocheters who want some instant gratification. The best part? These flowers will last forever.